April Kennedy...My Life + My Style: RINGING IN THE NEW YEAR! Happy New Year's Eve! I missed ringing in the New Year last year with my family. 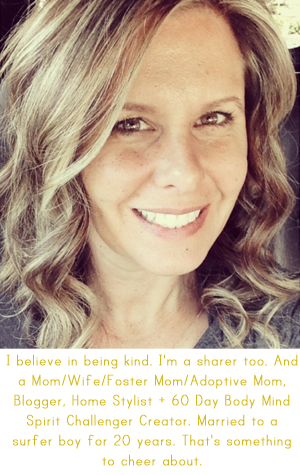 I was a labor coach for a sweet girl who was placing her child for adoption. She went into labor around 11:00 am on New Year's Eve and delivered the first baby of the new year. I stayed in the hospital with her for two days until she was released and the baby was gently placed in the hands of her new family. It was an emotional start to the new year, but well worth the amazing experience of watching a mother give birth and giving another a chance to be a mother. It was truly one of the most spiritual experiences I have ever had. I pray for that sweet mother as she celebrates this New Year's Eve and hopes she remembers the beautiful gift she gave to that sweet family and, despite it being the most difficult thing she will ever do, it was the right thing to do for her. So this New Year's Eve we are partying! Making up for last year (although we did have sparkling cider and party hats and blowers in the hospital room)! My sister and her fun family are coming over and bringing Rock Band World Tour. We have already had some practice on Christmas Day so we are ready for our big debut! I am also looking forward to playing the crazy hilarious game, Mad Gab, preparing burrito fixings for our burrito bar and dipping all kinds of yummy foods in our chocolate fondue dessert! All the makings of a raging party! I have my New Year's list started and it includes getting organized in my office again and sticking to a bill paying schedule, expanding Funky Vintage Kitchen to include Funky Vintage Baby, Funky Vintage Home and Funky Vintage Chic, getting Blake on a regular bowel program and STICKING to it, regularly holding FHE (or family night on Monday evenings), and encouraging my children to remember personal prayers as well as my husband and myself! What is on your list? How will you be ringing in the New Year? Here's hoping you make your list and accomplish most on it throughout this next year! Happy New Year....Happy 2009! getting hitched is on my list!!!! hahahhah! we'll be with mr. magpie's family tonight and planning already. what an amazong story abotu last year- wow, lady! you're amazing! happy new year! I love throwing stuff out/give to DI. I filled up my empty garbage can yesterday so I've got a head start on my New Year's goals---to organize and get rid of junk!! Happy New Year! YES!! getting rid of clutter and getting organized for sure! we had a storage unit in town (got it to stage our home when it was on the market). Matt emptied it yesterday and this morning and its all sitting in my driveway! an entire 10x10 unit....so I get to start going through it and chucking things...if I had not needed it in a year (how long its been in storage)chances are I really don't need it at all right (but I tend to hang onto things just because). HAVE A GREAT NIGHT TONIGHT!! and happy 09! My goals are to lose me extra baby weight I am carrying around and to dejunk my house.